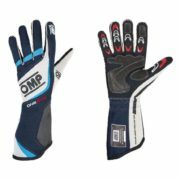 OMP’s “Classic Suit” is influenced by the quintessential look of the “classic” race suit worn by popular drivers of the 1970’s, featuring a design with two vertical stripes and a base colour. A favourite among classic and historic race car drivers. While the suit’s style is based in the past, the Classic is very much up to date. 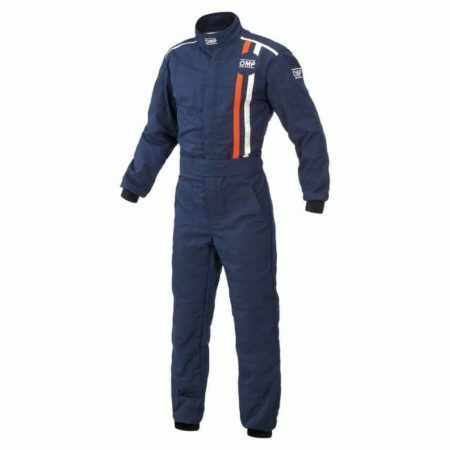 Manufactured from 2 layers of fire resistant Nomex material, the suit therefore meets current FIA regulations. 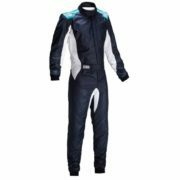 The outer layer of the suit is a highly durable material being somewhat sympathetic to the high wear and tear experienced in historic racing. 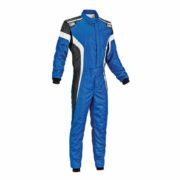 The suit’s inner layer is designed for breathability and comfort. 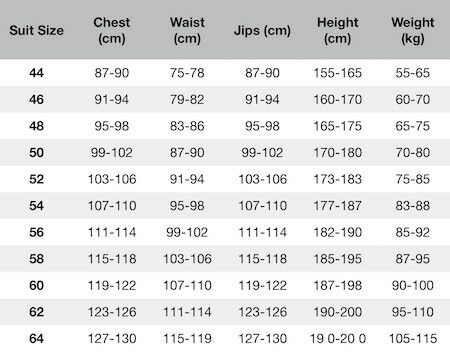 Other features include a soft knitted collar for improved comfort.